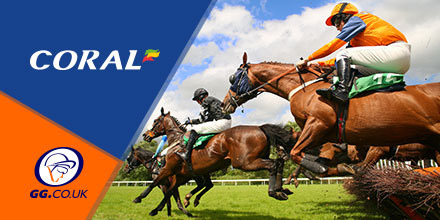 Coral not only offer the best odds guaranteed on all UK and Irish racing, they also offer some excellent specials and bonuses, so why bet anywhere else? Check out a Taunton and Huntingdon smart boost double below. The first of this pair, is Birds Of Prey who races in the 2:20pm race, a two mile and three furlong Maiden Hurdle. Since switching to fences, the Harry Cobden ride has bagged three runner-up spots in a row and looks primed to finally grab the victory, with bookmakers making them odds on favourite. Barring a mistake it looks unlikely to see a challenge here, with the next best priced at 13/2. Expect a strong run and a decent winning margin. Later in the 4:30pm, we have Dancing Shadow going in as another favourite for this three and a half mile Handicap Chase, with a little more work required it would seem than the first selection above. Having dallied with various distances, the three and a half mile mark seems to be the best fit for Victor Dartnell’s charge, having finished fourth a 3m 2f and then improving to second over 3m 6f last time out at Exeter. All four opponents are realistic threats here, but a solid jumping performance should put them in the mix, come the judge. The opening salvo in this boosted double is Capone who goes in as narrow favourite for the 3:40pm race, a Handicap Hurdle, over a mile and seven trip. Despite just three career runs, the Noel Felihy ride has impressed, with a win at Ludlow at class four level, back in January and following up with second at Haydock in a race at class two. A drop back down to the third tier level will no doubt aide hopes of another victory here, although both Dyliev and Red Mix will push hard. Birds Of Prey and Capone are among our racing predictions for Tuesday. Check out GG’s FREE TIPS for all cards on the day! *18+. UK+IRE only. Min first bet £10 at odds 1/2 or more. Tote and Pool excluded. Must be placed within 14 days of account reg. £30 credited as 3 x £10 free bets. Not valid with Cash Out. Free bet valid for 4 days. Free bet stake not returned. T&Cs apply. New customers only; debit and credit cards only. T&Cs apply.